The new overtime regulations are big news, but don’t panic yet. When the U.S. Department of Labor announced that it had finalized one of the most sweeping economic reforms we’ve seen in years, a ripple of panic moved through the business community. This change, which increases the overtime threshold from $23,660 to $47,467, has been pending for some time, but until now it’s been unclear when it would take effect and how much the threshold would increase. What does this change mean, exactly? If you’re an employee, the new DOL ruling means if you make less than $47,467 you now qualify for overtime on hours you work in excess of 40 per week–even if you’re salaried. If you’re an employer, the new DOL ruling means that you have some big decisions to make when it comes to employee classification. Your three options are, essentially, to reclassify your employees, restrict overtime hours, or keep the status quo and pay additional overtime. What are the pitfalls, benefits, and talking points you should know about for each option? This is the option many employers will reach for first. However, before you reclassify workers to hourly based on their annual salary and restrict overtime hours, consider how much overtime your employees have worked statistically, and what safeguards you’ll put in place to avoid surprise overtime hours. Using a cost-effective time tracking solution (even for hourly employees) until the implementation date of the new DOL ruling on December 1, 2016 will give you a good idea of how much overtime your employees are working on a daily and weekly basis. Start a free trial here to get a baseline on overtime hours for your company. If you determine that your employees are working close to 40 hours a week currently, this approach (when used hand in hand with a time tracking solution with overtime alerts) can be a great way to avoid surprises and keep costs down. Without a solid time keeping method, trying to restrict overtime can be haphazard at best. You’re required to pay unauthorized overtime, even if it was prohibited, so nipping it in the bud is the only way to go. (You’re allowed to discipline employees who flout the restrictions, but you still have to pay them for hours worked). It’s also likely that you’ll hear some grumbling from employees who feel that moving to an hourly wage is a demotion or carries less prestige. By approaching reclassification to an hourly wage and overtime restriction with a simple but effective time tracking solution on your side, you’ll be able to easily monitor where overtime hours are at, on a daily and weekly basis, by employee and for the company as a whole, avoiding surprises and additional costs. With overtime hours in check and your employees working for an hourly wage, in the long run you’ll also likely see an increase in morale. Discouraging overtime helps ensure that employees spend more time off the clock with family and friends, and living life outside of work. Make sure everyone is on the same page by holding a meeting to discuss the new changes. Allow everyone to give feedback, and be transparent in telling employees that the changes are being made to avoid surprises and keep the company healthy, not as any type of demotion. Remember, it’s possible to reclassify an employee as non-exempt/hourly while continuing to pay that employee a set paycheck each week for regular hours (the only change you’ll need to make is tracking hours to account for any overtime), so employees don’t necessarily need to worry about fluctuations in pay. Make sure employees understand what activities qualify as work (e.g., checking email after hours counts), and don’t make the mistake of encouraging employees to do work without tracking the hours (this can result in big fines and back payments). To get everyone on the same page with tracking time, TSheets offers employee onboarding to help make the process as smooth and easy as possible for everyone. Start a free trial here, and reach out anytime with questions with our live chat, phone, or email. Reclassifying workers without restricting hours is an option if you find (through accurate time tracking software) that your employees are consistently working in excess of 40 hours per week. In this case, most employers will set a new hourly wage for their employees based on how many hours they work, on average, per week, to maintain their current salary. Use a free trial of time tracking software to get a baseline on how many hours each employee is consistently working each week. Reclassification is a tempting option. One employee with a salary of 40,000 who now qualifies for overtime would earn an extra $1,500 per year if even one hour of overtime is logged per week. That’s nothing to sneeze at–especially considering that many now-salaried employees may be working in excess of 50 or 60 hours per week. Reclassifying the employee to an hourly wage based on the average number of hours the employee works per week, and factoring in average overtime, can keep the status quo as far as payroll goes. Reclassifying a salaried employee to an hourly wage based on the number of hours that employee typically works may be perceived as a demotion or a poor reward for hard work (since the more hours the employee works in excess of 40 per week, the more sharply that employee’s straight hourly wage will drop). Reclassifying the employee to a lower wage will also functionally mean that the employee must continue to work an excess of 40 hours (sometimes much more than 40) each week to maintain their previous salary, raising concerns about work/life balance and burnout. Implementing an easy to use, cost-effective time tracking tool can keep managers and employees on the same page about how much overtime is acceptable, with overtime alerts that are sent to employees and managers when daily or weekly limits are approaching. Carefully look at employee hours with your managers before making a decision to reclassify salaried workers to an hourly wage. If the employee consistently works 50 hours per week and is happy with their work/life balance, help the employee understand that this change won’t have an impact on their take-home pay based on their hours. Keep the door open to future conversations about modifying their base pay if job responsibilities change in the future and their hours consistently drop. A willingness to to stay flexible and an easy way to give feedback in the future can make all the difference in helping maintain rapport and good morale with employees. If your employees’ salaries are already close to the new overtime threshold, this choice is the obvious one for most employers. Costs are kept fixed, and you’ll avoid surprises and keep productivity high when a few extra hours need to be worked. Tracking time is the only true way to get a baseline on whether it’s a good decision to raise your employees’ salaries aren’t very close to the threshold, though. If salaries are much lower than the threshold, but your employees aren’t logging much, if any, overtime, raising them might not be in your best interest. If salaries are lower than the threshold but your employees are working a lot of hours, doing a cost analysis is critical. You’ll find an overtime calculator here to help you determine what to make of your findings through time tracking. The biggest potential pitfall here is making the decision to raise employee salaries to the threshold without doing due diligence to determine whether that’s a smart fiscal move or not. If your employees aren’t logging much overtime, you’ll be increasing your costs unnecessarily. Keeping tabs on your employees’ hours throughout the year will not only streamline payroll and add a new level of accountability to your business–it’ll help you gauge whether raising salaries is a smart financial decision before you pull the trigger. With any salaried employees, it’s possible that productivity may decrease since work isn’t being measured by the hour, and there’s no promise of additional compensation for overtime worked. However, implementing an employee time tracking solution to easily assign hours and accountability to projects and jobs is a great way to keep productivity high. Raising salaries to meet the new threshold promises benefits in terms of morale and fixed costs. Employees will be excited to hear they’re getting a raise, and you won’t be hit with surprise overtime hours during a busy season or when a new project arises that needs all hands on deck for a few weeks. This is the easiest conversation to have with employees–they’re getting a raise! Remember to keep tabs on the status of overtime rulings, as the threshold is set to be raised every three years from this point forward. Regardless of which option you choose, knowing where you stand on hours and overtime through accurate time tracking, balancing your fiscal health with employee morale, and having open conversations are critical components to successfully navigating these changes. 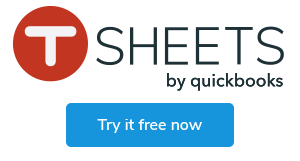 Find out how many hours your employees are working before December 1 with a free trial of TSheets. Check out this handy infographic to see all 3 options at a glance!